There is a large range of Falken Wildpeak Tires that are equally at home on the family SUV or on an off-roaders lifted Jeep 4X4. Falken is a relatively new tire brand in North America that has quickly built a reputation as a leader in high performance tire technology for both cars and trucks. In addition to excellent product performance, the brand has had plenty of exposure from their involvement in motorsports and sportscar racing series like American Lemans, Formula Drift, and in off-road racing series like King of the Hammers. What they learn in competition is translated to the products built for the highways and streets on every day vehicles. For this reason, the tires have a large and loyal following among racers, performance enthusiasts, and drivers of all types. In addition to a winning record on the track, Falken Tires have the look that off-road enthusiasts crave, like big aggressive treads and sidewall features that enhance the overall look of their Jeep or truck. At the same time, they need a tire that will not wear out quickly, or be noisy on paved roads. 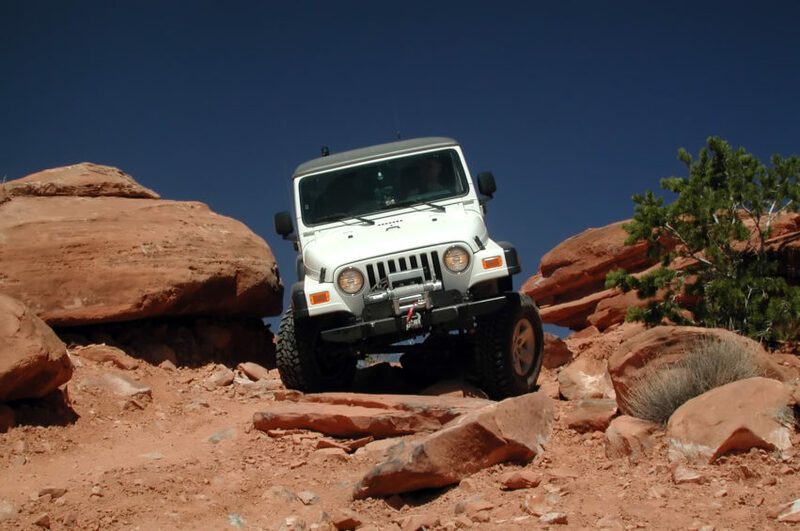 The Wildpeak tire line was introduced in 2011 to meet this need. The Falken Wildpeak A/T3W is now on its third generation of performance enhancements, but with little variation to the original tread pattern and sidewall. The Wildpeak A/T3W is now considered an industry standard that other brands try to emulate. After the early success of the Wildpeak A/T, Falken expanded the Wildpeak line to include the Falken Wildpeak H/T. This is a long tread-life highway tire for SUVs, crossovers and light trucks. 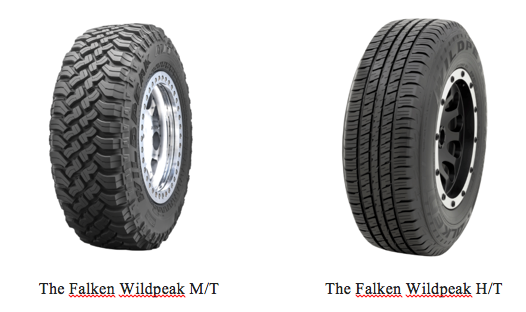 Rounding out the product offer is the Falken Wildpeak M/T. This is the tire with the most aggressive tread for extreme levels of traction in the nastiest of off-road conditions including deep mud, loose sand or rock. 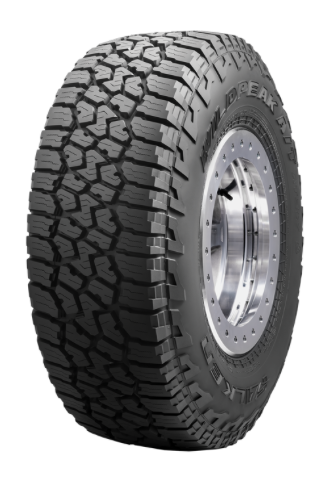 So if you are looking for a tire for your light truck that is a combination of cool looks, and genuine, race-proven performance, consider one of the Wildpeak Tires from Falken. Tires-easy.com has great prices on the full range of Falken Wildpeak Tires, all available for quick and easy order and shipping.